Prime Day starts today at 12pm PT / 3pm ET! Wakey, wakey, eggs and Prime Day 2018 deals! We kid, fall back asleep, as this year the deals will be on in a more humane time of the day - lunchtime on the West Coast, and mid-afternoon on the East. 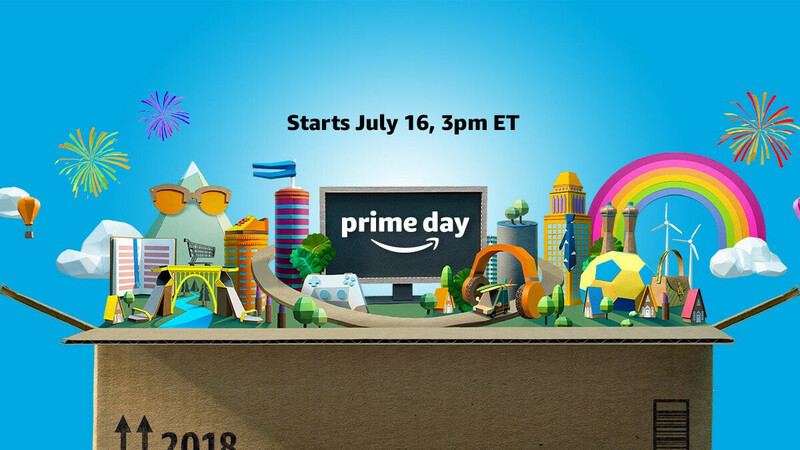 Last year, Prime Day was a raging success, even bigger than those staples of the promo sales like Black Friday or Cyber Monday, and this year Amazon is extending it 6 hours more, for a record 36 hours of a discount bonanza. As the name suggests, in order to qualify for the deals, you have to be an Amazon Prime member, but if you don't want the membership fee and all the perks that come with it, you could just cancel before the 30-day trial period has ended. So, without further ado, what's to love most from this year's Prime Day edition in our neck of the woods where phones, tablets, and various accessories run wild? The deals are running for 36 hours, with fresh ones outed on a regular basis, so there might be better things to come yet, but here's what's active right now. The Essential Phone is also on sale for just $249.99, if you pick Amazon as the direct seller, but the e-tailer seems to have run out of stock on this one, bummer, and that counts for color versions. Prime members new to Amazon Music Unlimited can get the best deal in Amazon Music history: Six months free of the premium music streaming service with the purchase of select Amazon Echo devices during Prime Day. Also, eligible Prime members get 10% back on select Amazon devices, including Echo, Fire TV, and Kindle, when they shop on Prime Day using the Amazon Prime Rewards Visa Card or Amazon Prime Store Card. One of the best smartwatch deals out there, the TicWatch sports amazing battery life first and foremost, due to its layered two-mode screen. It's got an OLED display, Wear OS, health & fitness tracking like a heart-rate monitor, steps counter, calories burned, cadence and sleep monitoring, the works. With an NFC chip inside, it can also be used for Google Pay, making it a great alternative to the Apple Watch. Is anybody reviewing the article? "Honor View 10 for $599.99" Seriously? It now costs $499 and with the deal will be $399! Exactly. I have the Honor View 10, purchased it from Huawei's US website, and it's $499 MSRP.